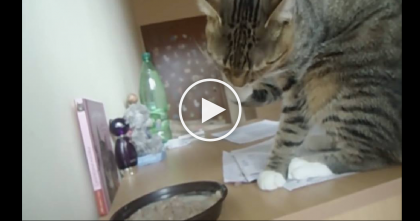 This Cat Has A Very Important “Job”, But When You See What He Does…OMG, I Love This Idea! This kitty is very special to a group of students in Germany for one important reason…He is known as the “Campus Cat” because he comes to their university every day to help relieve stress and anxiety! The ginger tabby understands how stressful college life can be with all sorts of exams and projects. So he lends a helping paw by giving lots of cuddles and purrs! He walks all around on campus to check in on his humans to make sure everyone is ok.
What a sweet kitty and such an amazing idea—SHARE this cute video with friends! 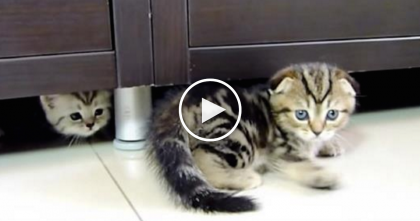 Your Cat Goes Outside, But You Never Know Where They Go, Until Now… No Way! !